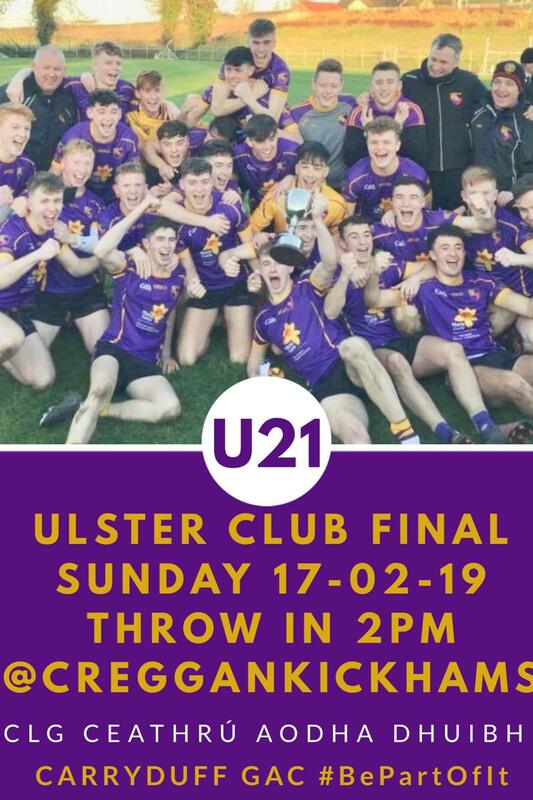 For the first time in our Club’s history, our U21 team have reached an Ulster Club’s Final. We hope to run buses for supporters, young & old and want as many members as possible to attend. Buses will provisionally leave at 12:15 in time for the throw in at 2:00 pm. To help us gauge numbers and calculate ticket prices, please put your name down.